D.I.S. is an information system for automotive systems diagnostic and repair. The user can access to the platform via the website D.I.S NET with an account and password. D.I.S. provides to the automotive technician all information necessary to know, interpret, diagnose and repair systems quickly and accurately. Prioritizes graphical descriptions about writing. Completely eliminates the dispersion and fractionation of the electrical diagrams, showing the system analyzed in a single screen and with the name of the component next to it. In this way the reading of the scheme is direct and immediate. Displays the information that the technician requires with a few clicks. Offers to the mechanics resources to know in a dynamic, direct and interactive way the characteristics of the system that he is manipulating. It provides self-training tools to strengthen the technical knowledge needed to intervene autonomously on the analyzed system. From the Diagnostic Logic section, guidelines are formulated for the rapid location of faults or malfunction of components. The detection method relies primarily on the self-diagnosis function that incorporates advanced management systems. 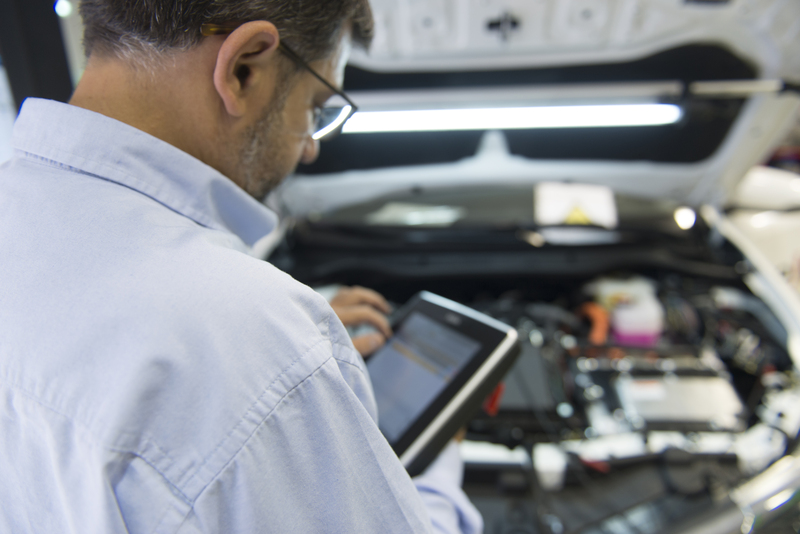 This section shows the list of electrical checks that can be performed on the sensors and actuators of the selected vehicle. To carry out these checks, it is enough to have a digital tester and an oscilloscope. For each component different checks are made to verify is own functioning. Considerations to facilitate the complete understanding of the performed check or the data obtained. One of the tasks in which the technician consumes more time of his work, is precisely in the search, localization, monitoring and interpretation of the electrical diagram of the systems that he has to repair. The splitting and dispersion of these diagrams creates difficulties for the technician for analysis and interpretation. In order to minimize the time invested in this task, all the electrical diagrams shown are always presented in full screen. Engine compartment map with the location of the system components, sensors, actuators, control unit, etc. Box of fuses and / or relays of the engine compartment, with the identification of each one of them. Box of fuses and / or relays of the passenger compartment, with the identification of each one of them. Connector of the control unit with the identification of each of its pin. Location of the diagnostic connector. This is a new section from contains the wiring diagram of air conditioning and climatization with different variants according to model and versions, but also those corresponding to heated seats and additional heating. This new section contains the electrical circuits of the ABS anti-lock braking system as well as of the additional systems of which each vehicle counts such as ESP, ASRHBV, etc. This section provides all the information that allows the technician to easily interpret the electric circuit of the Airbag in order to be able to intervene safely and quickly on elements such as impact sensors, airbag detonators and safety belts, deactivators, etc. From this new section, the wiring diagram (in their different variants according to models and versions) of the front and rear windows are provided. All information regarding the wiring of central locking components such as door and closing actuators, luggage compartment and fuel filler flap, unlocking buttons of the boot, antenna and receiver module, etc. Processes of connection and disconnection of the battery as well as considerations to be taken into account regarding the possible deletion of the memory of control units and electronic elements like the radio or the clock. From this section we provide to the technician a complete description of the process of auxiliary belts’ disassembly and assembly, as well as its arrangement and the necessary tools to carry them out.